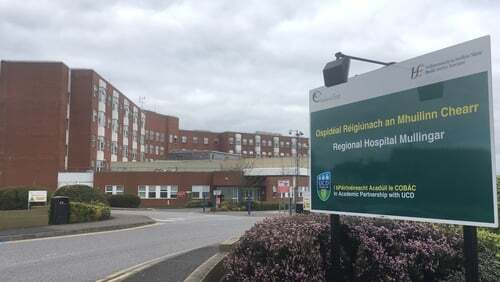 The Garda Síochána Ombudsman Commission is to carry out a criminal investigation into the circumstances surrounding the death of a man after an incident at the emergency department of the Midland Regional Hospital in Mullingar at the weekend. Father-of-three Danny McCormack was arrested by gardaí who were called to the hospital on Saturday evening. He died later after collapsing at his home following his release from garda custody. RTÉ News understands that the preliminary results of a post-mortem examination have confirmed Mr McCormack died from heart failure. However a team of investigators from GSOC will now interview members of his family, staff at the hospital and members of an Garda Siochana to ascertain the full details of his death. Mr McCormack lived with his family at Raheen in Mullingar. They have expressed concern about the circumstances leading up to his death. On Saturday afternoon, they say he went to the emergency department, complaining of chest pains. He was involved in an incident there and security staff and gardaí were called to remove him from the building. Some time later, he returned to his home in Raheen where his family say he was bleeding and distressed. The incident was referred to GSOC whose investigators will now examine CCTV footage from the hospital. A post-mortem examination was carried out by the State Pathologist, Dr Michael Curtis, at the Midland Regional Hospital in Tullamore.